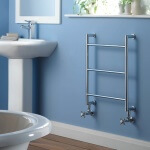 Investing in a brand new towel warmer can be a life changing experience. This amazing technology used to only be found in high-end spas and resorts. But today, you have the opportunity to install one of these game changers in your very own bathroom! At the same time, you are going to want to make sure that you understand exactly what you’re getting into. 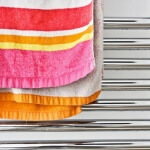 While these bathroom appliances seem really simple and straightforward on the surface, you need to be sure that you aren’t making any of the 10 common mistakes people make with these towel warmers all the time. Let’s break those 10 mistakes down right now. 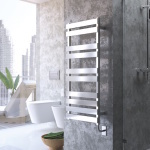 One of the biggest mistakes, if not the biggest mistake, you can make when it comes time to invest in a towel warmer is not taking the time to find a reputable and reliable manufacturer. Because these products have become so popular in just the last few years there are a lot of knock offs flooding the market right now. These knockoffs are not only cheap looking and cheap performing, but they also have a lot of safety concerns that most people aren’t aware of. Stay as far away from them as humanly possible! Another big mistake that you are going to need to try and avoid if possible is choosing the wrong style towel warmer for your bathroom. 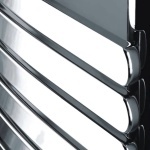 Almost all of the major manufacturers in the space produce a variety of different style towel warmers, with one design for pretty much every bathroom design aesthetic imaginable. You are going to want to be sure that you do your research to find one that improves the overall look of your bathroom without breaking your bank account in the process. This isn’t always going to be easy, but it is mission critical. It’s going to be impossible to choose the right towel warmer for your specific needs without finding the one that matches the power source you are most interested in using. 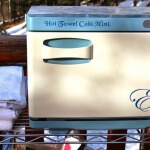 Hardwired electric towel warmers are the most powerful and consistent, but plugged in electric towel warmers are the most convenient. 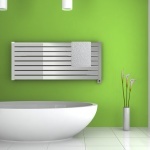 Hydronic towel warmers use your hot water to radiate heat, and are some of the fastest working towel warmers – as well as some of the best looking! 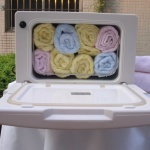 You are going to find towel warmers in almost every imaginable shape and size. 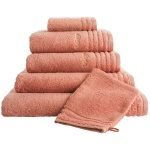 This means that you are going to be able to find a towel warmer that matches your capacity needs, heating and warming all of the towels that you would like to have taken care of at one time. I just make sure that you are moving forward with a capacity that suits your needs right down to the ground, not the largest or smallest capacity just because it was something that you came across first. Plugged in electric towel warmers are and going to require any special installation, but the other two types of towel warmers most definitely will. Unless you are completely comfortable with doing your own electrical and plumbing work, all around the wet work space that is the bathroom, you are going to want to call in the professionals to handle the heavy lifting for you. This isn’t something that you want to fool around with. Though many of the best towel warmer options on the market today come with built in timer technology that acts as a safety shut-off valve, not all of them have this feature. You need to be certain that you are using a timer with all of your towel warmer. If you don’t, you run the risk of fire or electrical hazards that could have been completely avoided simply by using a shutoff switch or timer. Safety needs to be your number one priority when you’re using one of these solutions. As mentioned above, you are going to be able to find towel warmers in almost every imaginable size, shape, and form factor. But you are going to need to think about the dimensions of your bathroom that you are able to play with to find the right solution that fits your needs – and your bathroom – perfectly. A lot of people have even taken to installing their towel warmers in a walk in closet so that they get extra space for extra large solutions. This might be something that you’ll want to at least consider. Don’t buy products that are too technical for your daily use. The overwhelming majority of towel warmer solutions on the market right now come with simple and straightforward control mechanisms. At the same time, some of them come with control mechanisms that are almost too confusing to understand. These kinds of towel warmers won’t offer you the control you need over this technology. Really try to find options that strike the perfect balance between simplicity and utility when it comes to controls. Because bathroom spaces can be a little bit cramped. And because real estate in your bathroom may be at a premium, you might have to resist the temptation to install your towel warmer too close to water. This would be a major – and potentially fatal – mistake. For obvious reasons you’re going to want to keep an electric towel warmer as far away from your water supply or splash zones as possible. And even if you are going with a hydronic option, you’ll still want to make sure that it’s free and clear of any water. This definitely isn’t a mistake that you’re ever going to want to make. 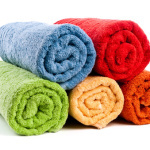 Towel warmer solutions – even the least expensive ones available – aren’t exactly the cheapest things to purchase. 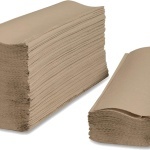 On top of that, they consume a tremendous amount of energy and are going to increase your utility bills at least a little bit. So, you better make sure that you’re adding one for the right reasons, and understand that it is a serious investment that will have a tremendous return going forward!